There are certain flavors you’ll naturally find in whiskey. 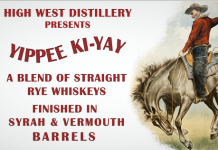 These flavors come either from the fermentation/distillation process or the time a whiskey spends in a barrel. 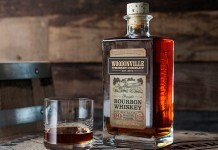 For bourbon these flavors often include vanilla, caramel, cinnamon, maple, vanilla, honey, pecan, chocolate, cherry, apricot, orange, coffee, and oak. It’s a no-brainer, then, for whiskey companies to draw from whiskey’s natural flavor palate when creating flavored whiskey offerings. 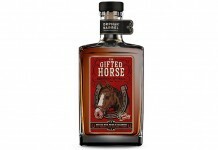 In essence, these companies pull out one of the complementary flavors in the mix as the dominant flavor, allowing the natural whiskey notes to hang in the background as supporting players. Over the past few years honey flavored whiskey has had a tremendous run, starting with Jack Daniels Tennessee Honey and then spreading to almost every major spirits company, including Jim Beam. Honey and bourbon has had its time in the sun, and so the push is on for another blockbuster flavored whiskey flavor combination that will have the same kind of velocity that honey has had. Late last year, Crown Royal stepped into the flavored whiskey space with their Crown Royal Maple. The results were nothing short of spectacular, and the release helped rocket the entire premium Canadian Whiskey to over 50% growth. Given Crown Royal’s grand slam home run, we were surprised when only a few spirit companies got into the maple game. That’s about to change. Brand strategy aside, Jim Beam Maple is a major push forward for the flavored whiskey category and the first of many maple flavored bourbons we expect to hit the market in the near future. Jim Beam Maple (70 Proof / 35% ABV, $15.99) screams maple right from the first whiff. In addition to the maple there is a very clear caramel note with the Jim Beam whiskey apparent in the distant background. Although Jim Beam Maple is at a lower proof than many of the Red Stag releases, the base spirit is slightly more detectable with a slight amount of vapor on the nose. The entry for Jim Beam Maple is strong, sweet maple, almost like drinking a whiskey-spiked maple syrup. In addition to maple, the caramel from the nose is there on the entry. In the midpalate the classic Jim Beam bourbon profile begins to emerge with cinnamon, vanilla, and oak spice balancing out the sweet caramel and maple. While the maple notes are sweet and strong, there’s no question that you are drinking a flavored whiskey rather than a whiskey-based liqueur. The finish on Jim Beam Maple is a nice mix of sweet maple and oak spice with the maple flavor lingering around for an extraordinarily long time after the spirit has clearly finished. While we enjoyed Crown Royal Maple, one of the major complaints we heard from readers is that it’s just too thick and sweet. Jim Beam Maple is a touch less sweet and does a better job balancing the sweet maple with the oak spice. One of the best things about Jim Beam Maple is that it does allow the base Jim Beam Whiskey to shine through. Our only real gripe about Jim Beam Maple is how long the maple aftertaste sticks around long after the spirit has finished. Perhaps at a slightly higher proof this wouldn’t be the case. 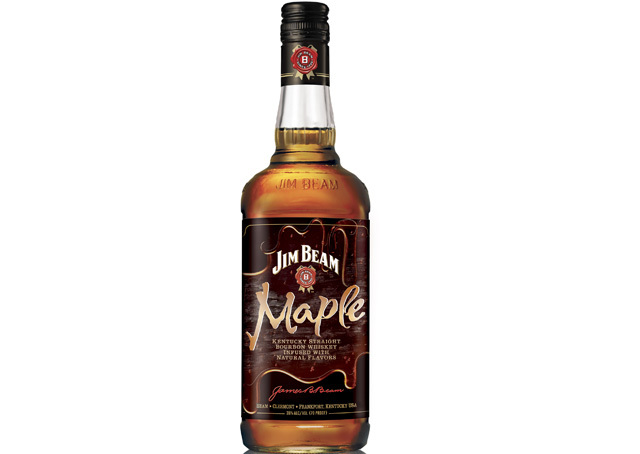 From a mixability perspective, Jim Beam Maple has a ton of potential. Jim Beam Maple makes an easy Old Fashioned (as long as you back off the sugar), goes exceptionally well with apple cider in a Stone Fence, and mixes a lot better than honey flavored whiskeys with Coke. Jim Beam Maple is yet another smart and timely innovation from a company who is simply at the top of their game.